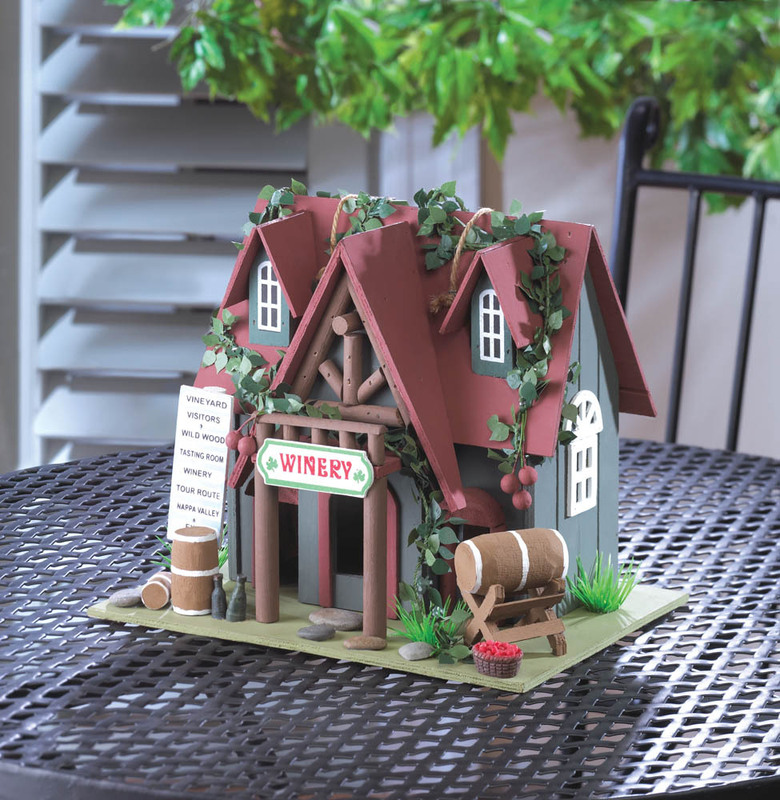 Birds won't be able to resist an overnight stop-over at this quaint cottage winery! 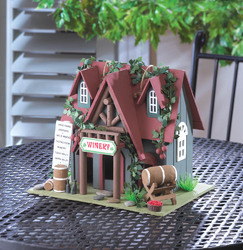 The green cottage features a darling brick-red roof that's crawling with ivy. Faux wine barrels perch outside, welcoming your feathered friends to the perfect place to unwind. Clean out hole on back. Item Weight: 1.4 lbs. 10¼" x 7" x 8" high. MDF wood. UPC: 849179009533.